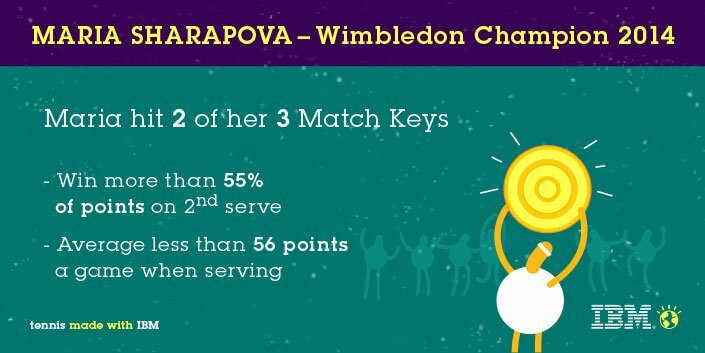 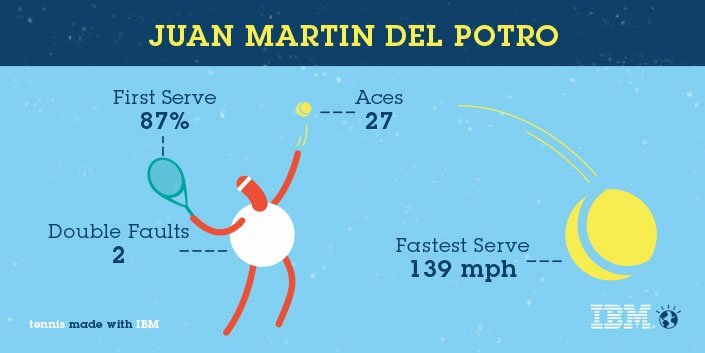 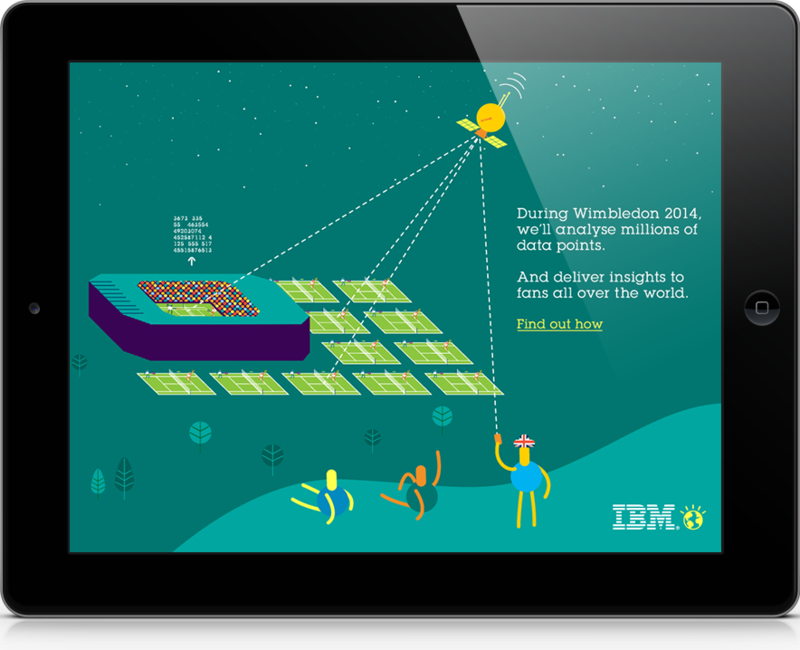 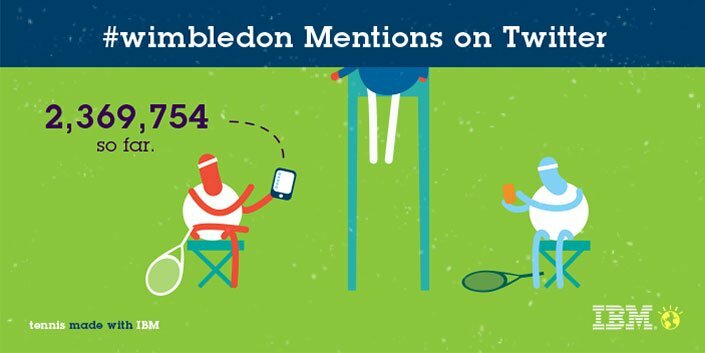 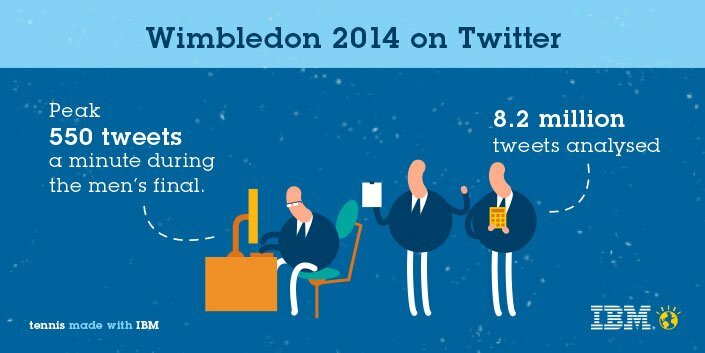 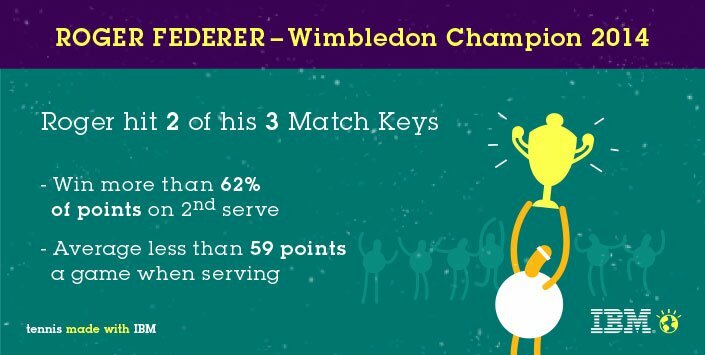 For 25 years, IBM has been powering analytics for Wimbledon, the world's oldest tennis tournament. 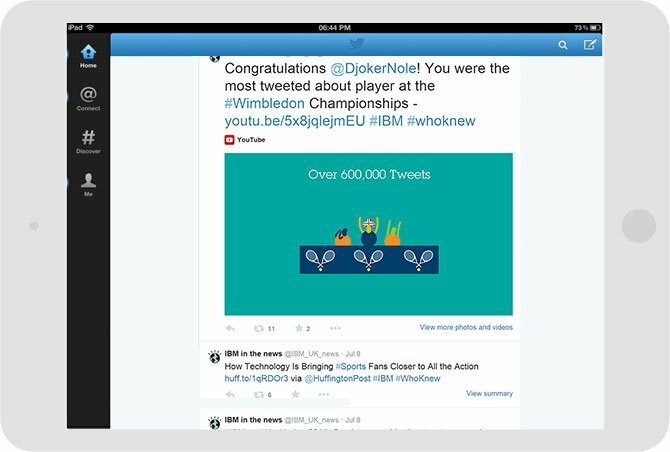 They wanted to encourage the business audience to engage with their data through social content. 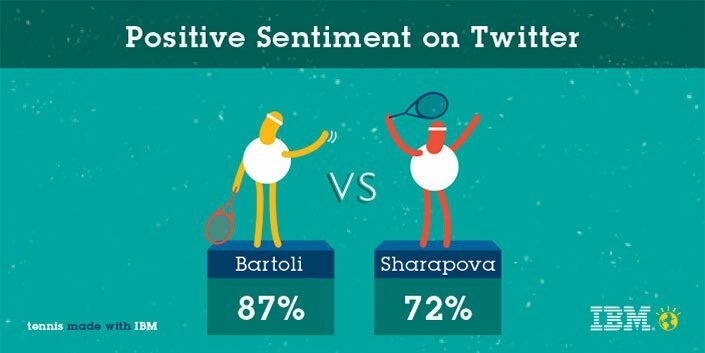 To show a living case of this predictive data through social media. 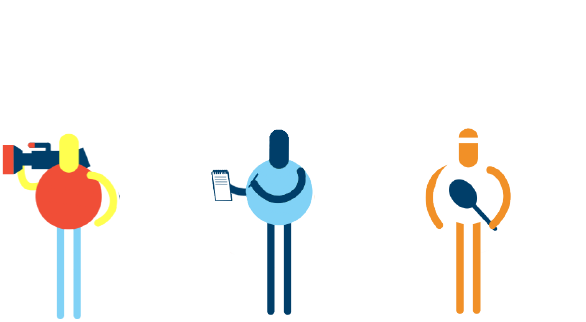 Illustrations for the website, banners, twitter, skin takeovers, youtube animations and instagram posts were created for fans to enjoy. 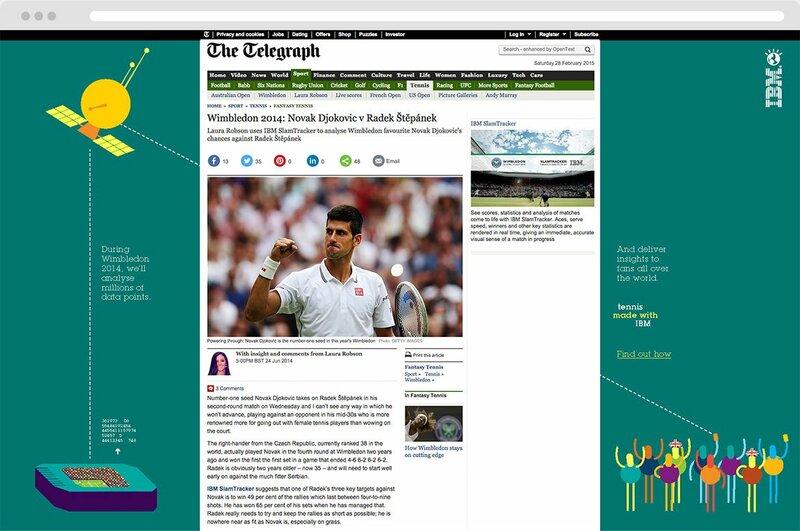 By the end of the Championships our content had received 244,108 engagements, and generated 9 qualified leads – the equivalent of £1.8 million in revenue for IBM. 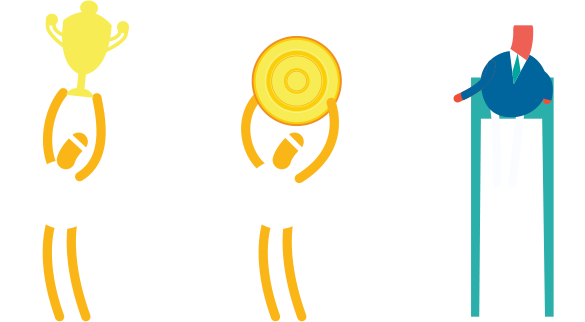 The work won a 2014 Gold DMA. 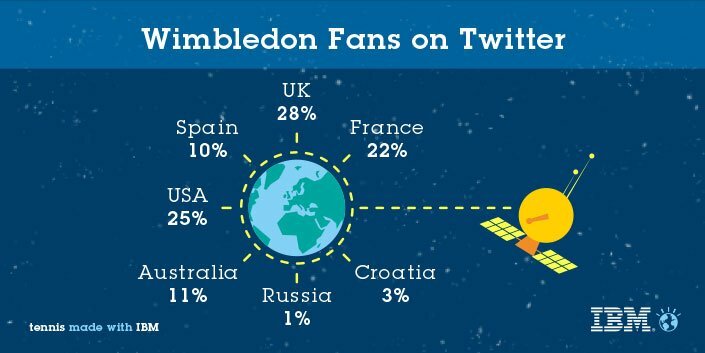 I created illustrations to show data from the ongoing games for the social media campaign. 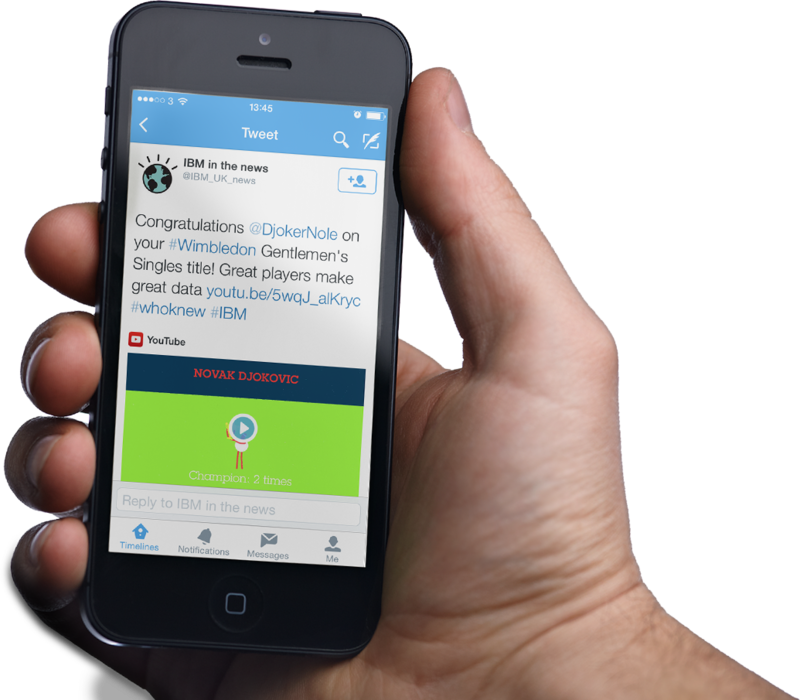 Data would be filled as soon as a match ended and immediately posted on the IBM’s Twitter feed. 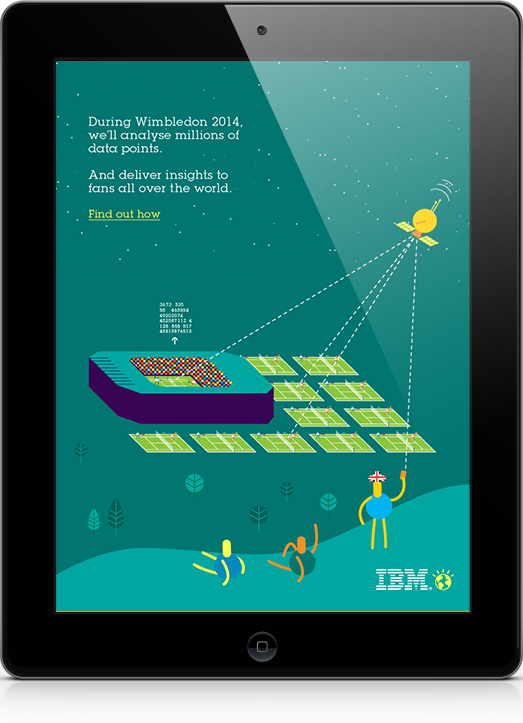 Without breaking IBM’s guidelines, the illustrations were color blind compliant too. 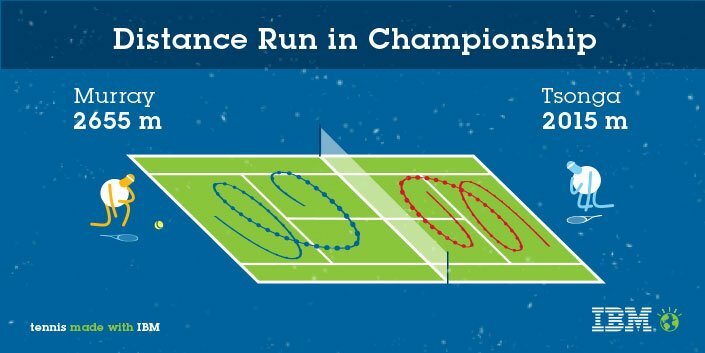 The illustrations had to cover different possibilities that we couldn’t predict, in this case, there was a chance the champion could be a women or a men, so both versions were illustrated.